← Pretty Fabrics and Trims, CoCo Souvenirs and Costume College 2015! 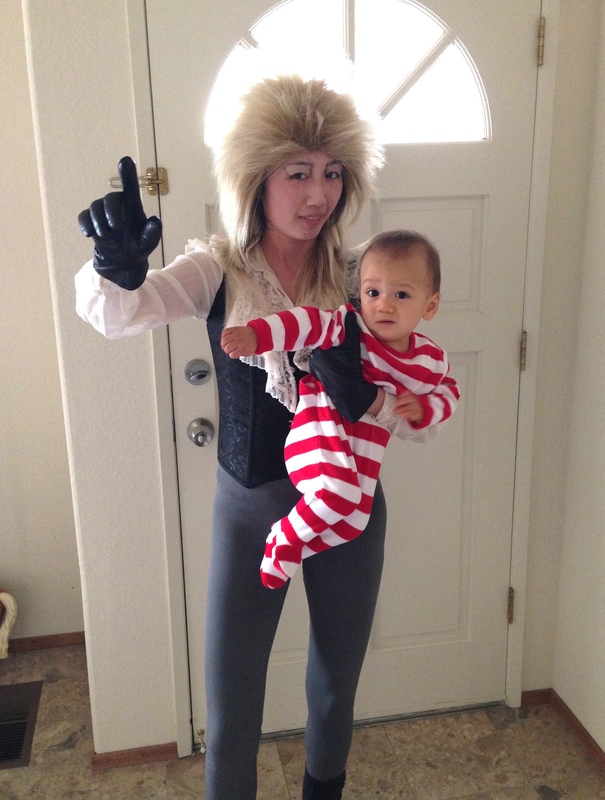 I think my son looks a little worried that I might be the real Goblin King. 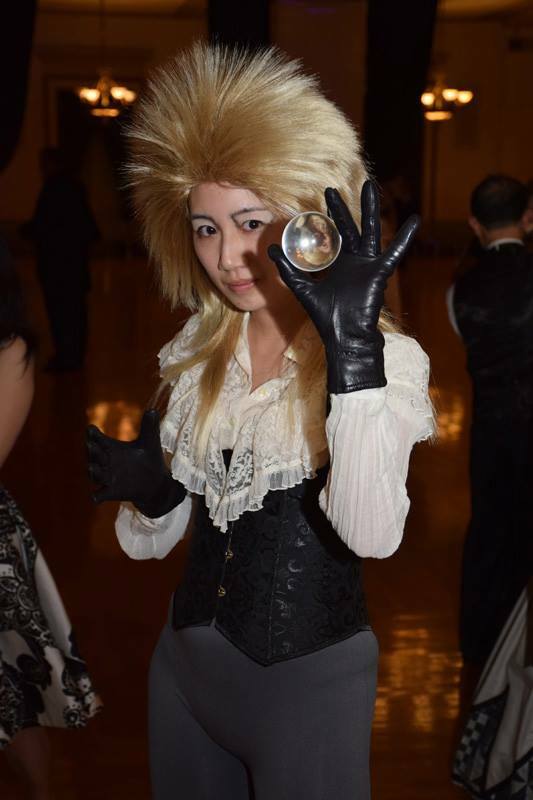 Jareth has a pretty snazzy bedazzled blue coat he wears during the ballroom scene, but I didn’t have the time to make it (this year). 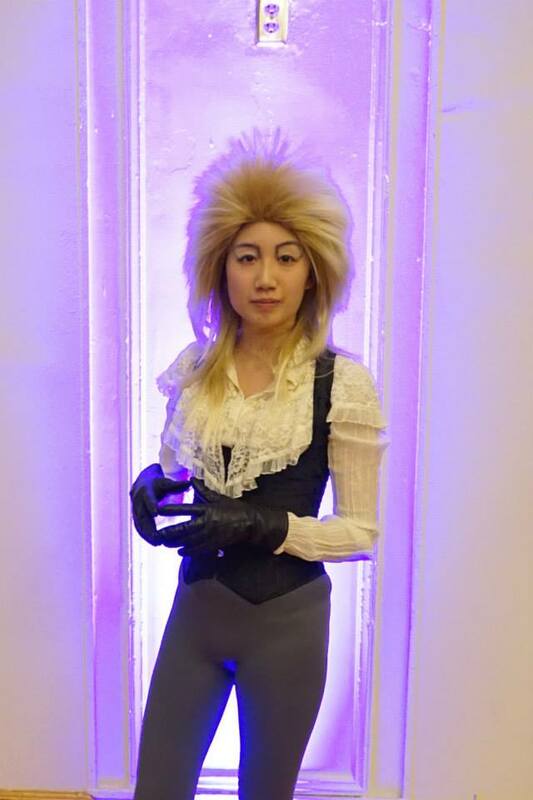 The best part about this costume is that it can be put together by something I call “closet diving,” except for the hair, which is a newly purchased “blonde rocker” wig from Amazon. (My son’s red and white striped romper is also from Amazon). The boots are Tavistocks from American Duchess. The blouse is vintage Gunne Sax. The vest is a cheapy Chinese corset with straps and a high back (links below). 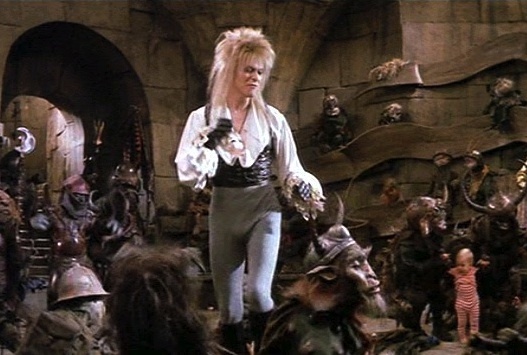 You remind me of the Babe. What Babe? The Babe with the power. I found this cool photo of me by Gaskell Ball. There are no special effects; I’m just standing in front of a purple light and the wig glowed! My black leather gloves came from Ross but I believe they are Isotoners, which are available in men’s or women’s sizes. Here’s a photo taken of me at a Halloween ball by Christopher Mobley. Happy Halloween! 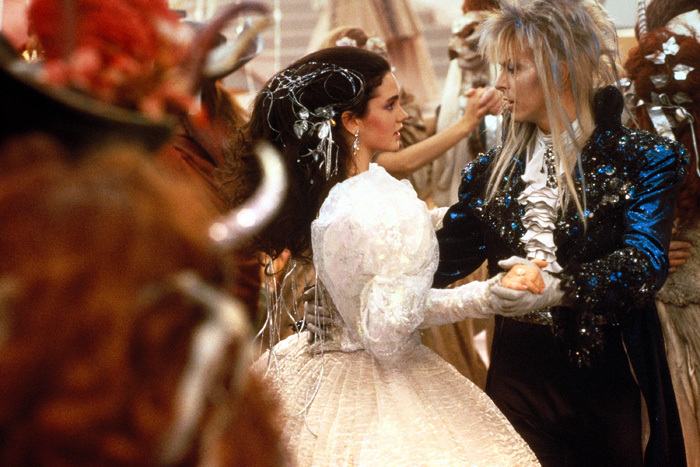 Posted in Halloween, Other Clothes and tagged costume, Halloween, Labyrinth. Bookmark the permalink.